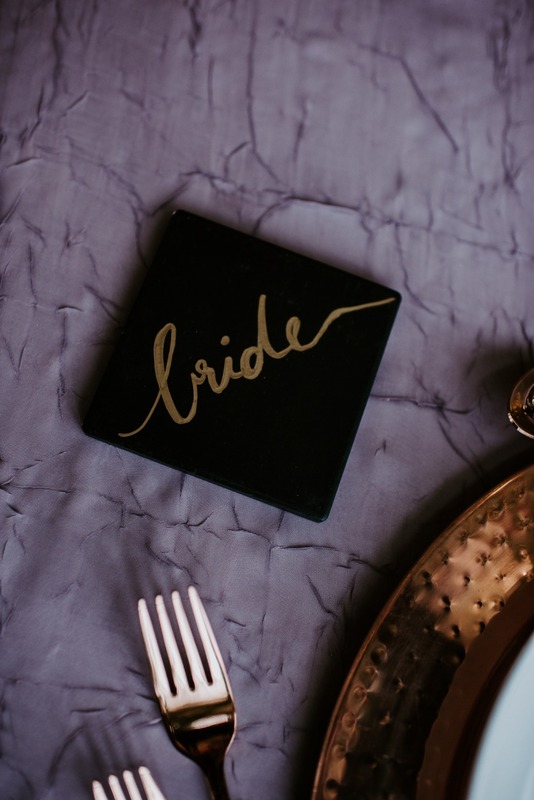 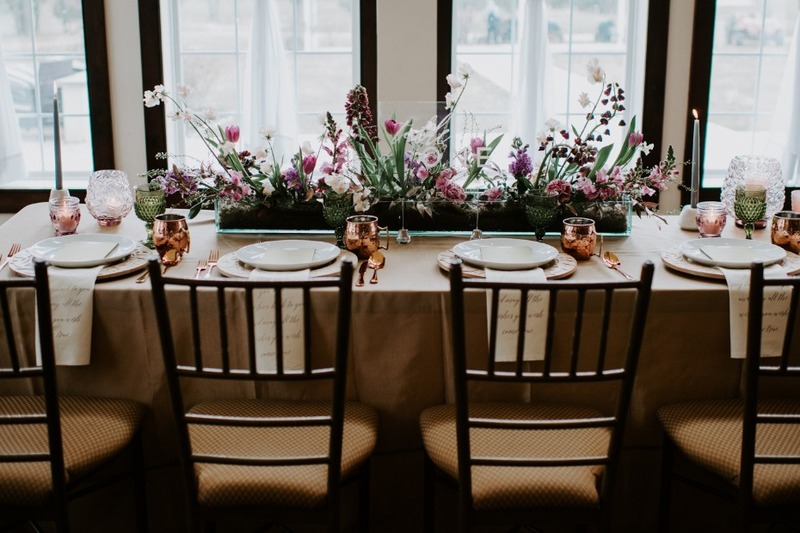 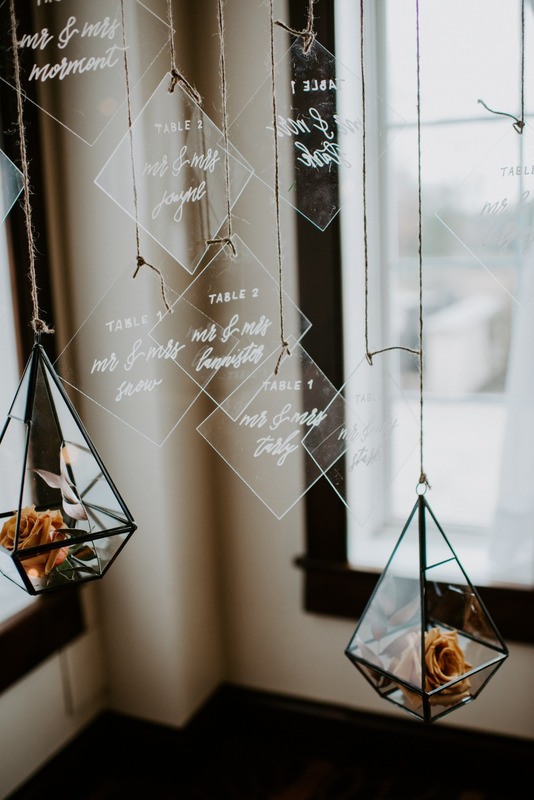 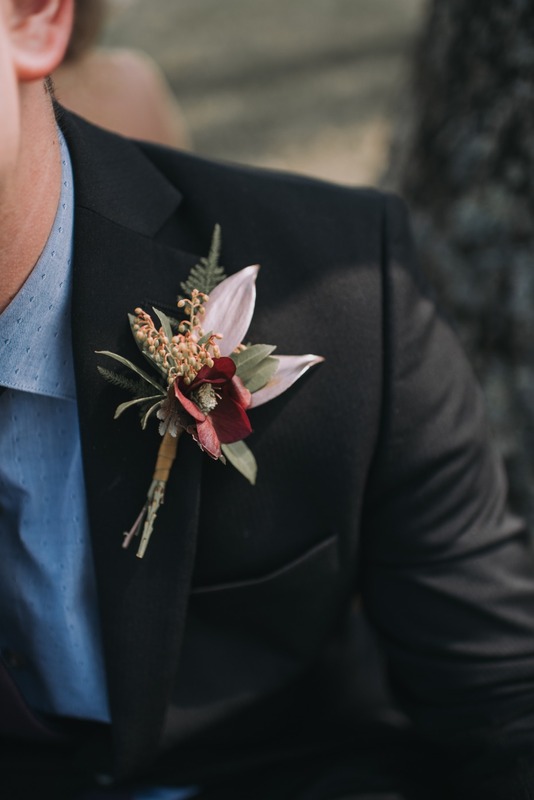 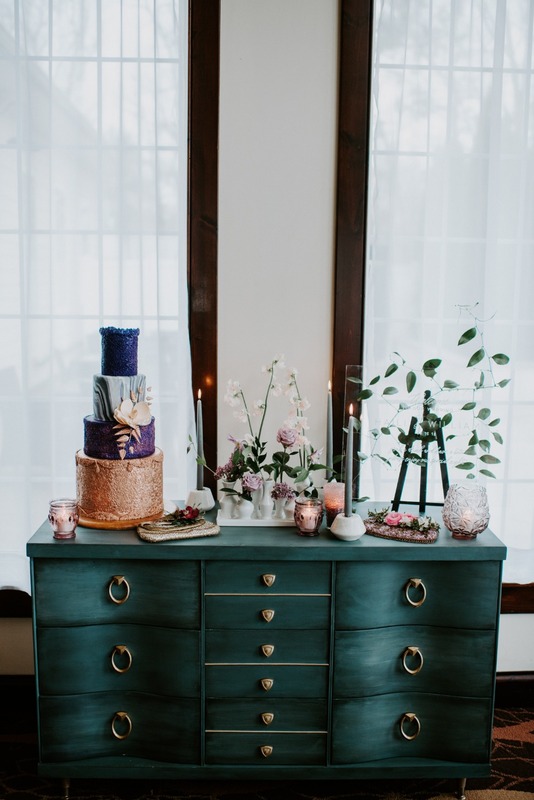 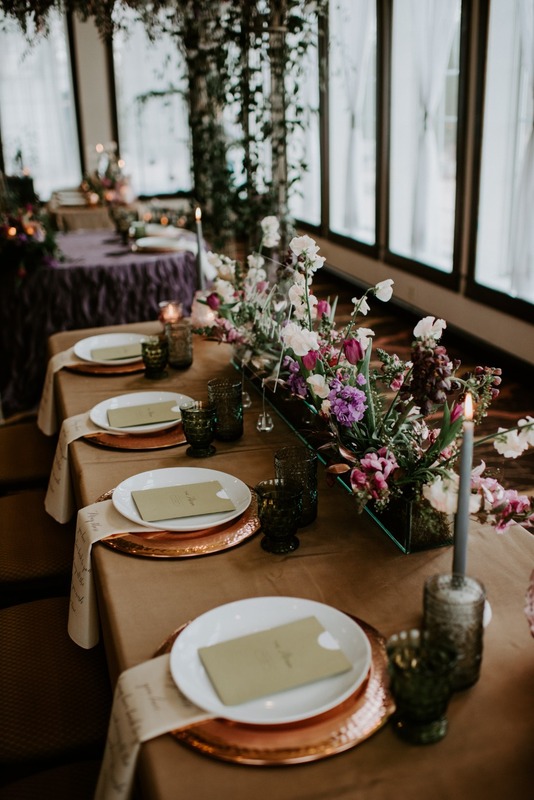 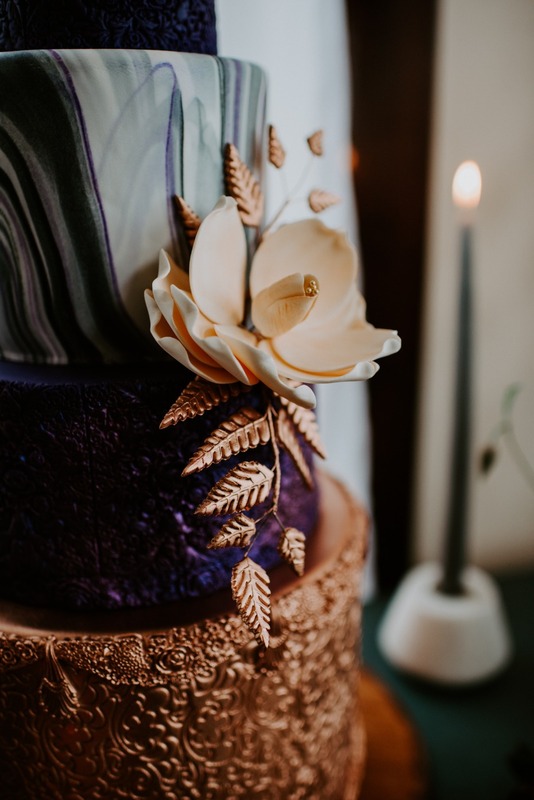 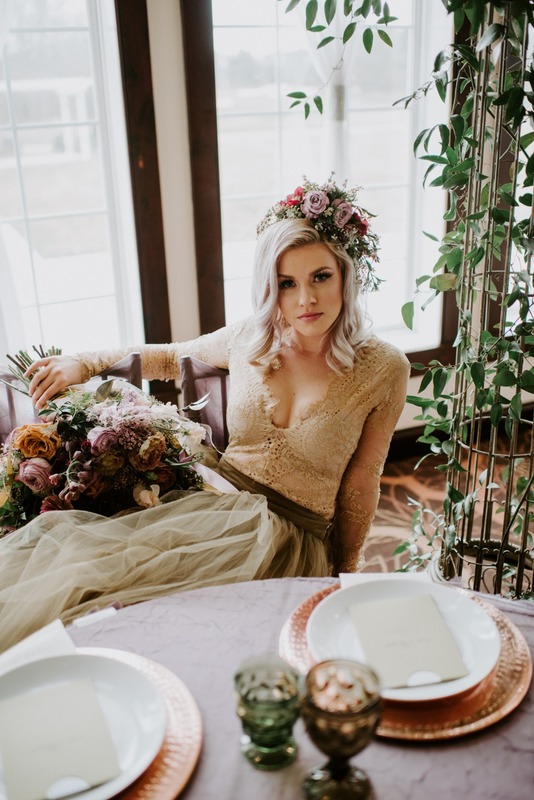 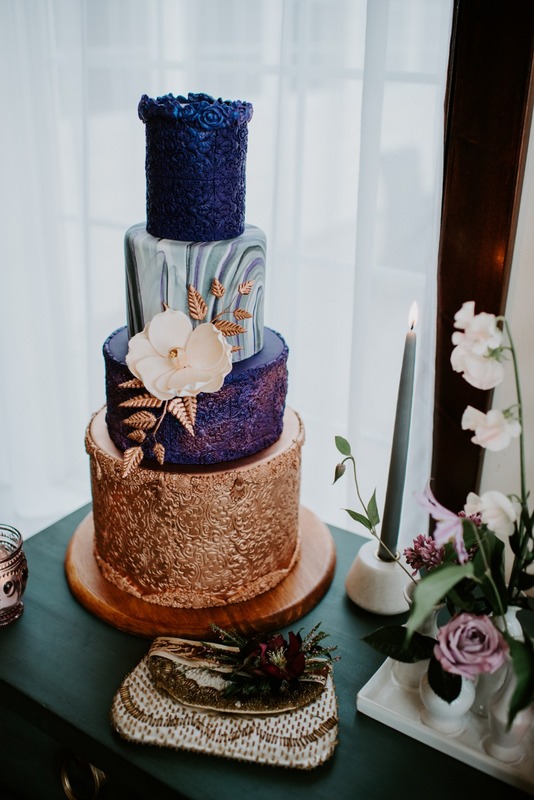 If you’re planning a wedding in the spring, then you have to take advantage of this trendy wedding inspiration captured by mle pictures. 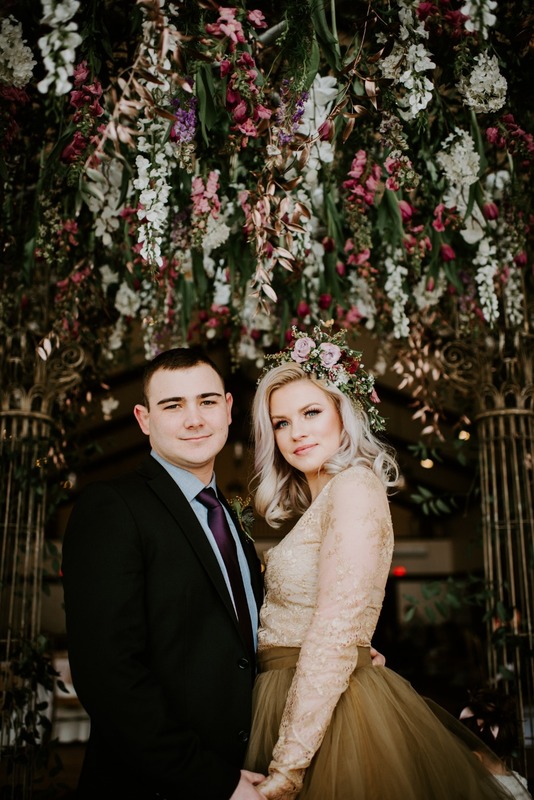 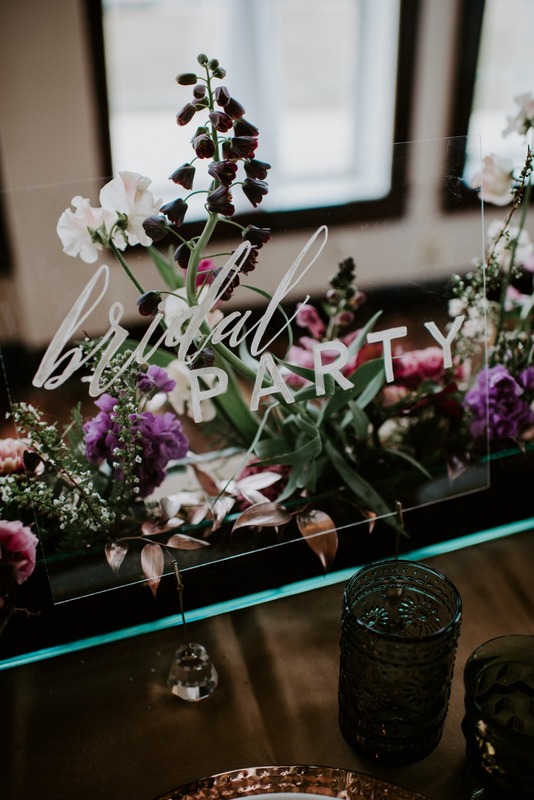 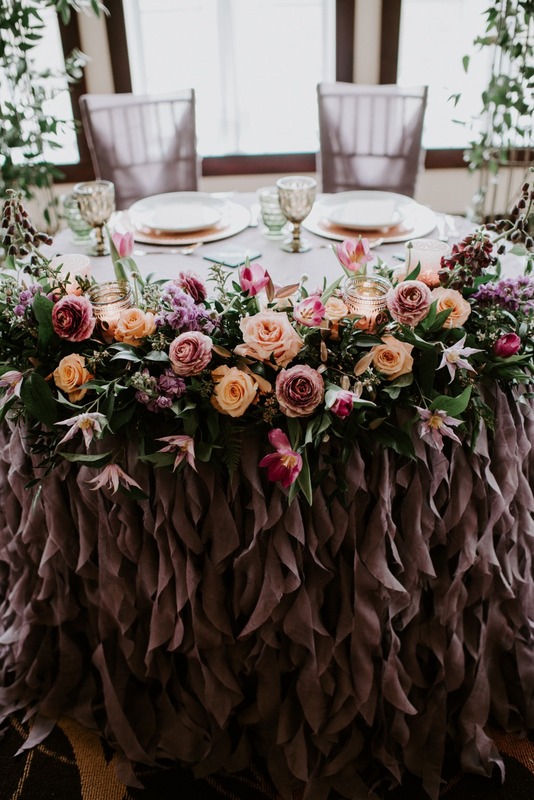 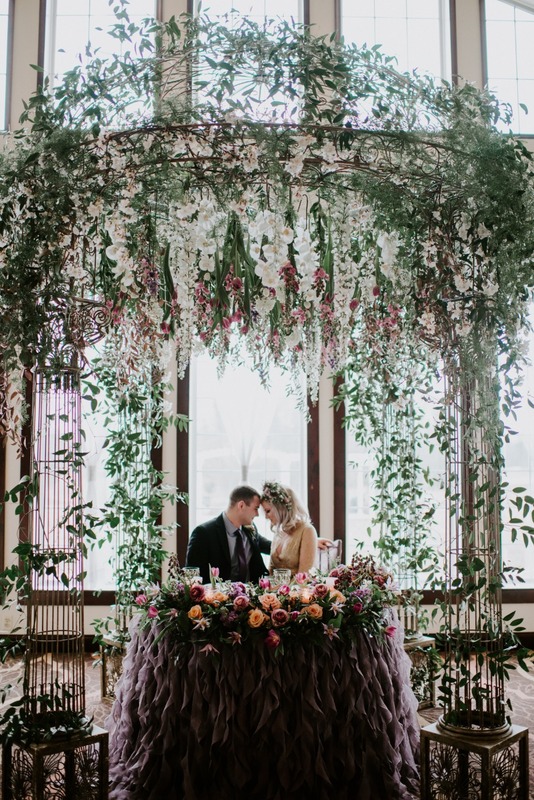 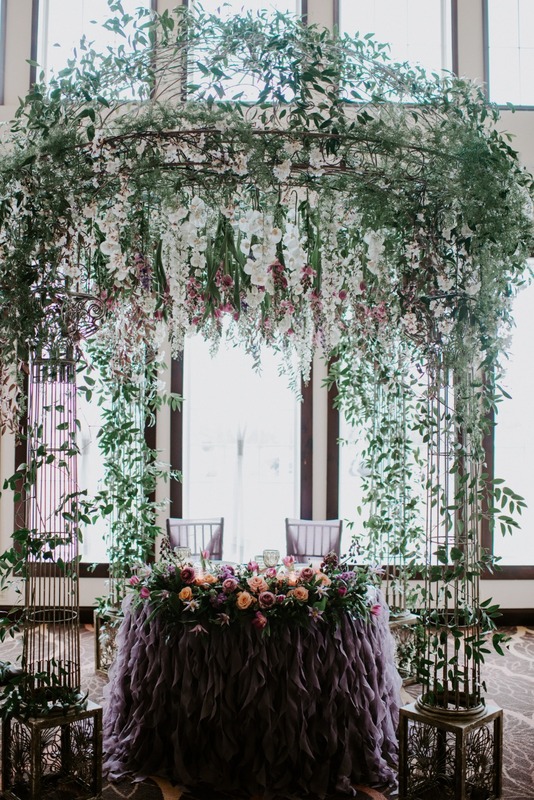 Hues of rose gold and ultraviolet add the right amount of whimsy to this modern shoot complete with a giant flower dome arbor from A Garden Party and acrylic signage from House of Catherine. 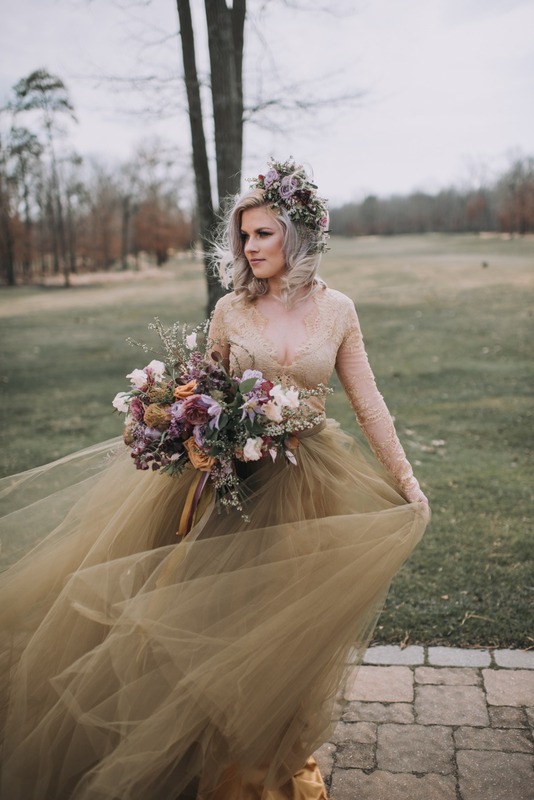 And how about that bride models s t u n n i n g two-piece modern tulle gown with a lacey top from Sweet Caroline Styles? 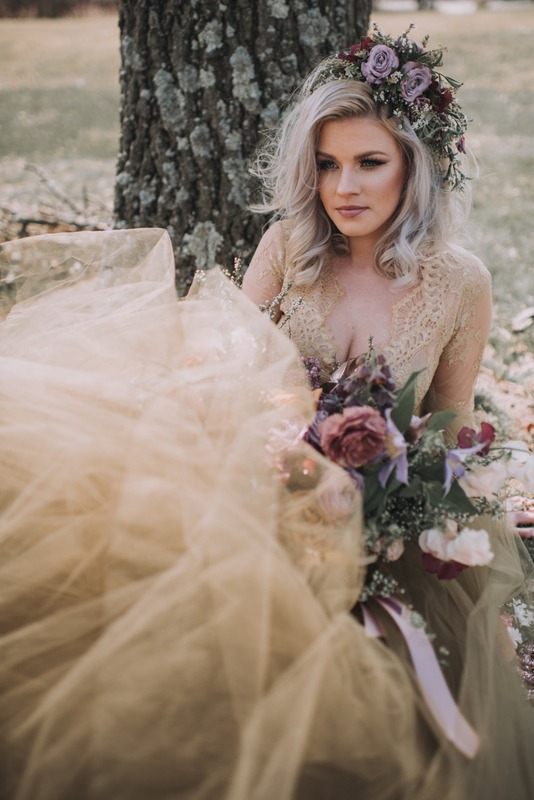 It’s unexpected and completely dreamy, especially with her floral hairpiece and bouquet (props to A Garden Party once more!) 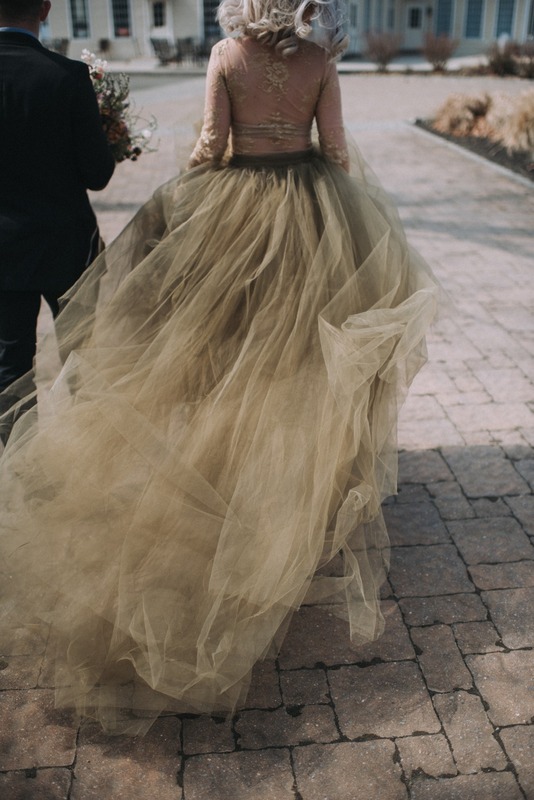 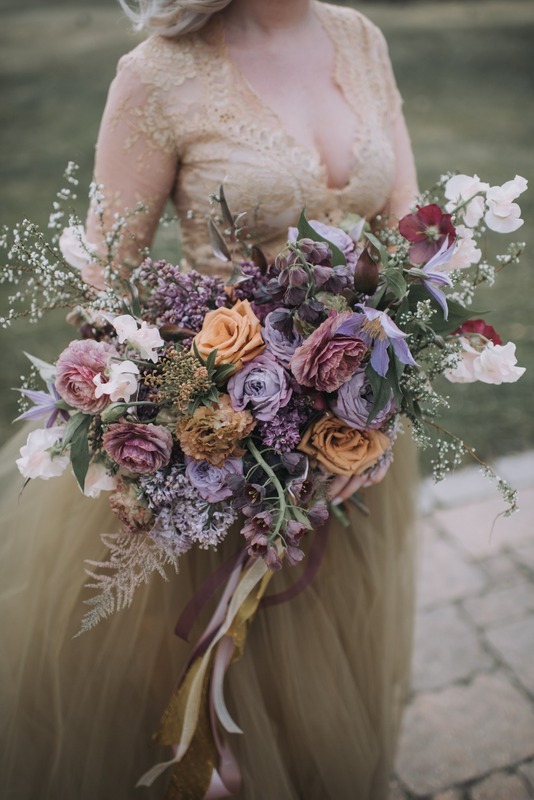 See more dreamy details below, and if you’re ready for more images then check out the full gallery. 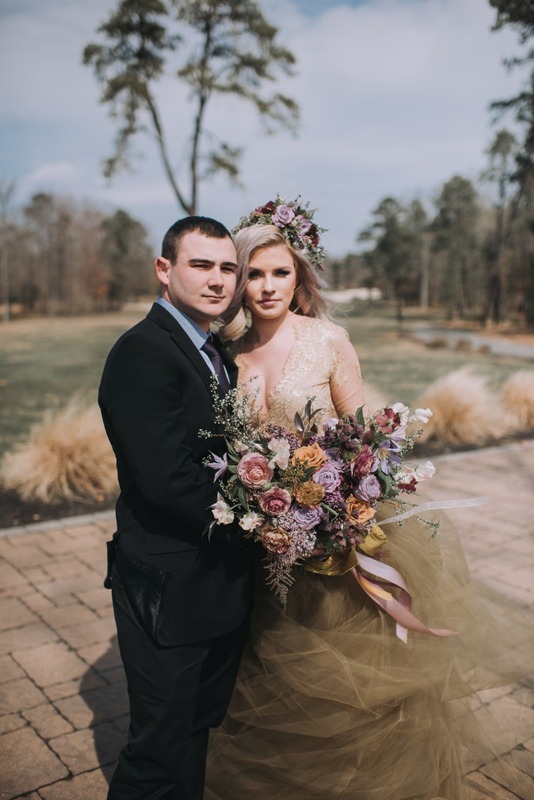 From mle pictures: This wedding inspiration is a must-see for any brides planning a springtime wedding. 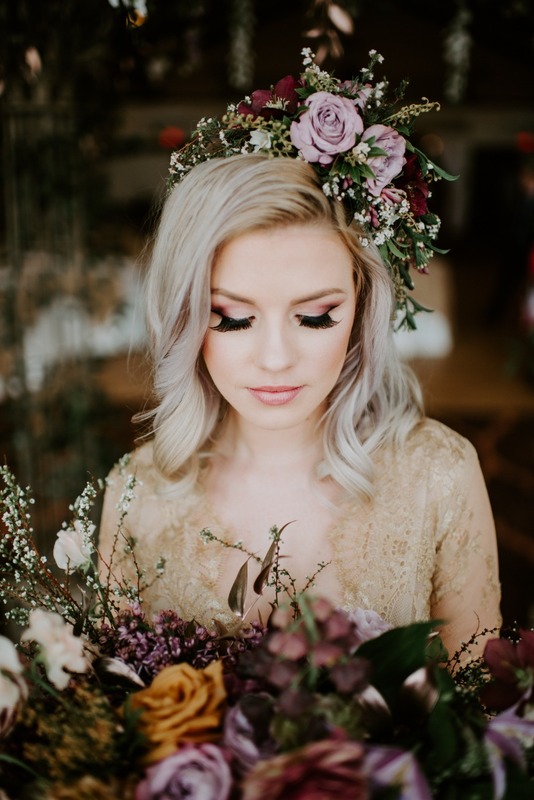 The on-trend colors of rose gold and ultraviolet are seen throughout the shoot. 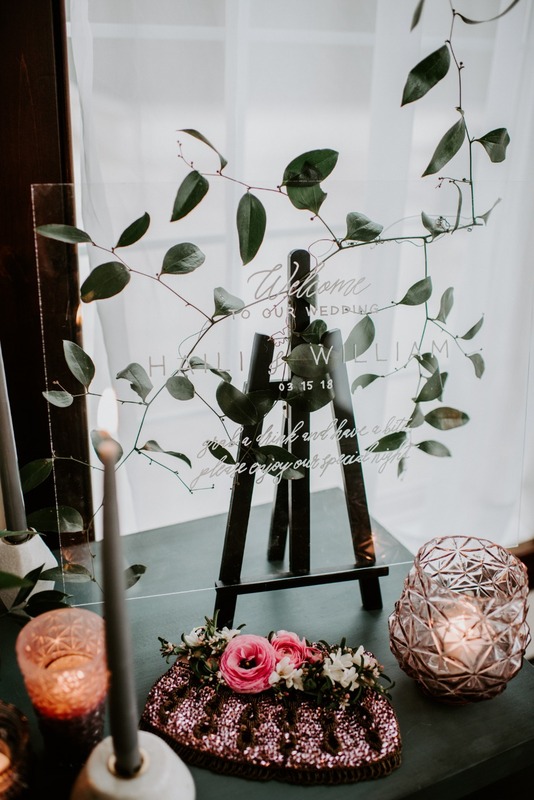 Rose Gold spray painted greenery is a super chic but totally easy DIY idea that is also seen here. 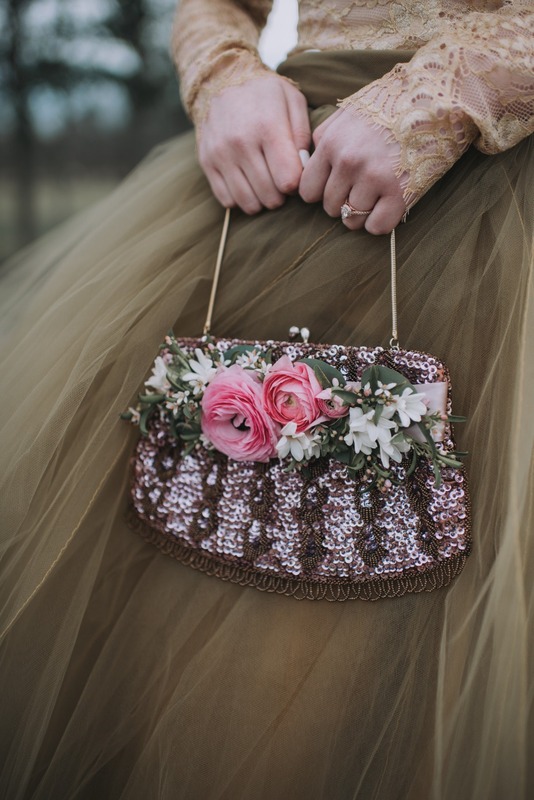 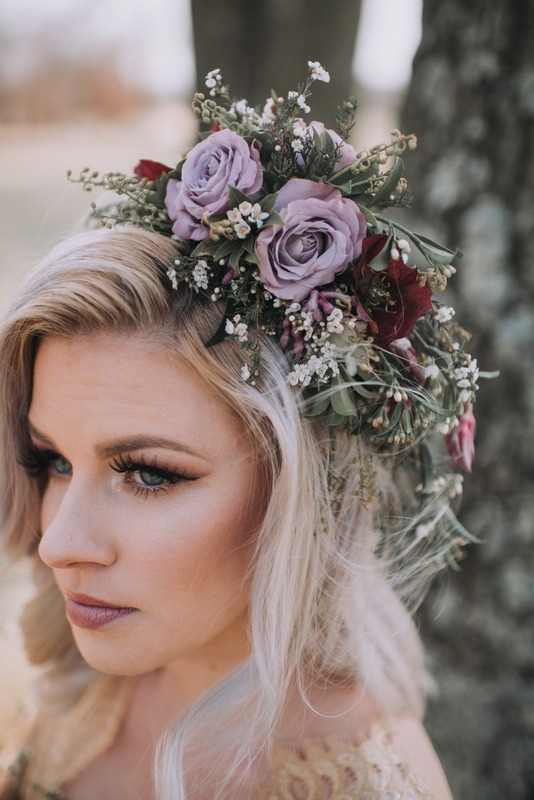 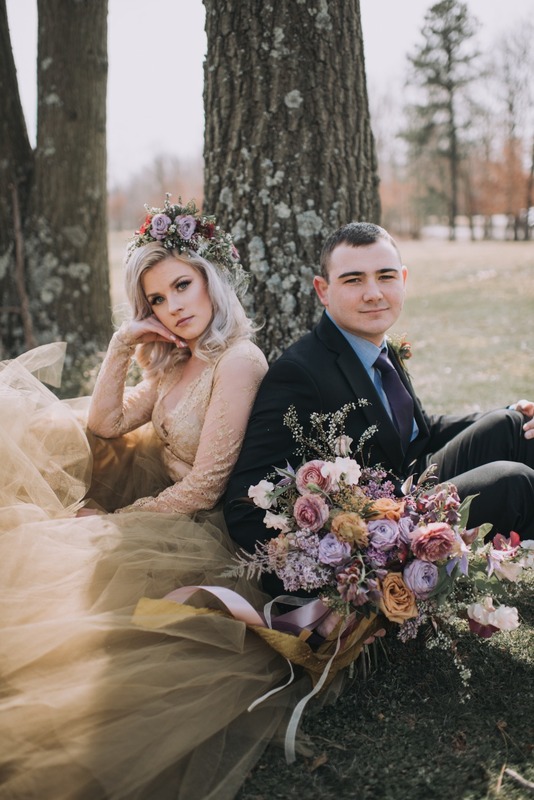 A Garden Party showed how to use florals in other ways than the standard bouquet and table décor with a gorgeous floral hairpiece and floral embellishment on the bride's jeweled handbag. 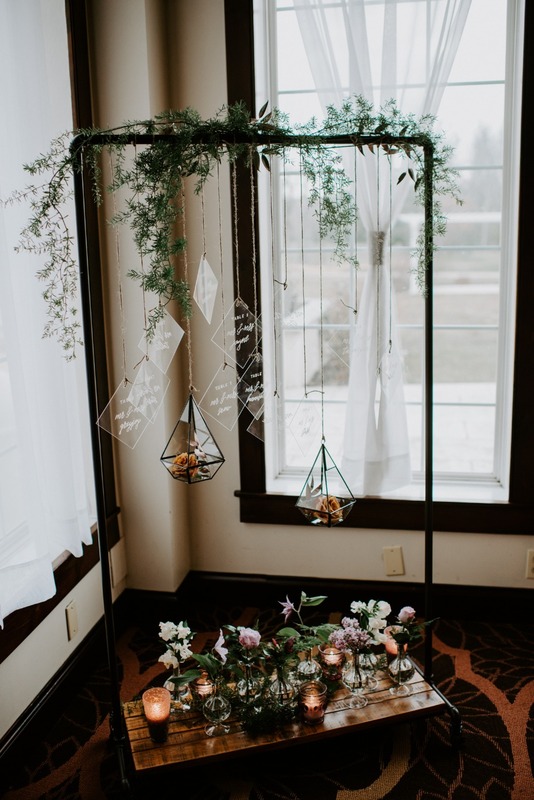 A Garden Party also covered a dome (for the ceremony & sweetheart table) with flowers to bring the outdoors inside. 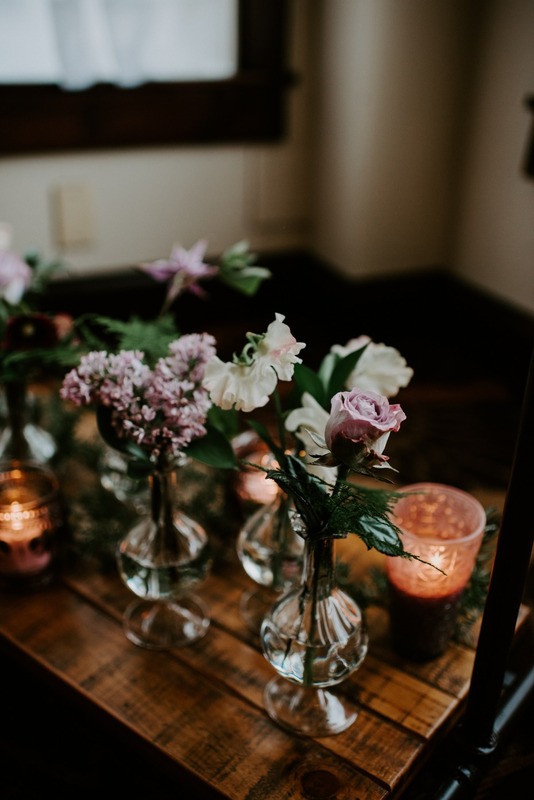 Also, the florist brought along the bunny residents from their farm for the shoot for some super cute and cuddly images! 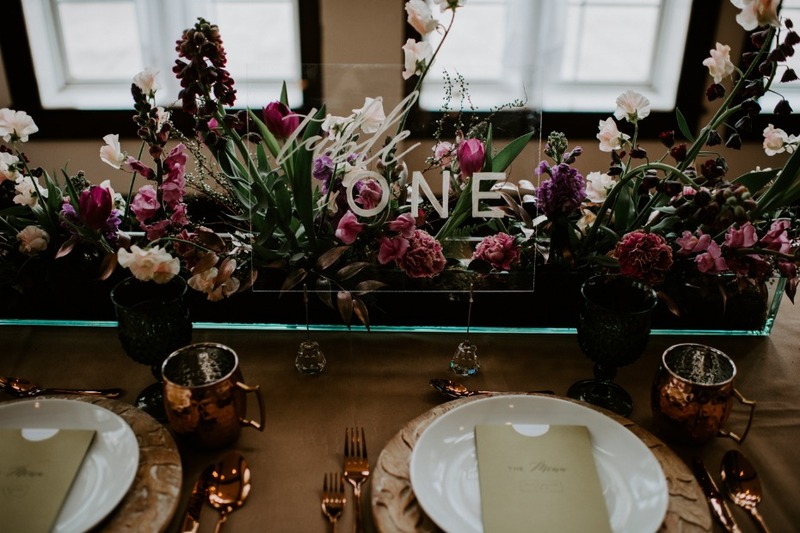 House of Catherine designed all of the modern papery as well as the acrylic table signage throughout the shoot.